Soap Hope is a company that sells all things beauty. They sell many organic and natural products that smell great. Soap Hope invests 100% of its profits every year into anti-poverty non-profits. These organizations use the funds to provide loans, training, literacy, healthcare, and other services to women in poverty. This approach can permanently lift whole communities from poverty, providing families with the resources and skills they need to be self sufficient. We call our program "Good Returns." If you can buy products from Soap Hope for the same price as another web site or retail store, wouldn't you choose to purchase from Soap Hope? You get the same great products, but we will invest ALL the profits into organizations that transform the lives of women. For my review, I was sent a bunch of samples of their products which I ended up loving. I kept these in a room in our house that we keep closed off for the winter so that my dogs do not get to them. I went into that room the next day and the entire room smelled like these products! I loved it. I especially love the Pangea Organics products which smell great and do a good job of keeping your skin soft and clean. I liked the facial mask a lot. 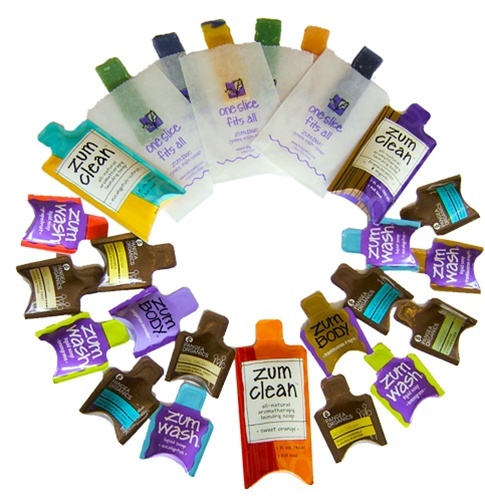 The Zum body lotion was also great. These products smelled like the kind of products you would find in an extremely expensive body shop. To buy from a great company that is so generous to others, check out Soap Hope.